Agency for the Cooperation of Energy Regulators Chairman Lord Mogg outlined its objectives for energy policy at the Northern Ireland Energy Forum and discussed the changing nature of regulation with Peter Cheney. Achieving a low carbon society across Europe must remain a policy priority over the next decade, in the view of the Agency for the Cooperation of Energy Regulators (ACER). 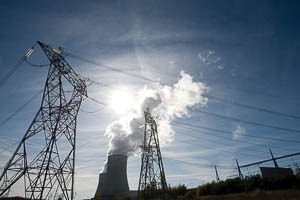 The agency acknowledges the current focus on security of supply but is also encouraging policy-makers to remember the need to meet Europe’s main energy objectives. Lord Mogg, who chairs ACER’s board of regulators, explained its priorities at the Northern Ireland Energy Forum. The agency’s recommendation to the European Commission, Council and Parliament (Bridge to 2025) takes a strategic look at energy regulation over the coming decade. It expects Europe to move towards being a low carbon society with a smart, responsive energy supply and an increased proportion of non-programmable renewable energy. Five key objectives were set out in the conclusions (see box). The establishment of liquid, competitive and integrated wholesale markets in Britain has been “a big problem for the whole of the decade.” He found that interest in security of supply was increasing, partly due to the Ukraine situation, but the danger was that the third priority – a low carbon society – was lost. Developing a retail market that benefits consumers was “hugely challenging” due to greater consumer involvement and continued relatively low switching rates. The last point was probably the most sensitive area. ACER felt that there should be regulatory oversight for the transmission system operator networks for electricity and gas: ENTSO-E and ENTSO-G. He expected new legislation to be brought forward by the Commission in the next five years but the implementation of the Third Energy Package had to take place in advance. In the new year, ACER will publish its recommendations on amending the gas target model in a way that would help to manage uncertainty over future gas demand. Facilitating a flexible response was “the newest and most important element” of its proposals. ACER wanted to establish common criteria for a well-functioning retail market and develop a roadmap aimed at facilitating competitive and innovative retail markets (although that area of work was very challenging). The use of stakeholder panels, comprising energy industry and consumer representatives, was “extremely useful” for ACER’s work and it is encouraging regulators and the Commission to take that approach. Going forward, ACER wanted the Third Package to be implemented on a voluntary basis rather than by further legislation. “The European Union’s legislative process is amazingly slow and complex,” he noted. Mogg hoped that the Commission’s Directorate-General for Energy will use ACER’s thinking in its advice to the new energy commissioners. Miguel Arias Cañete is responsible for general climate and energy policy while Maroš Šefčovič will oversee market integration with the aim of establishing a European ‘energy union’. He also suggested that delegates consult the EU’s market monitoring report which gave an “extremely valuable insight into prices” and other aspects of energy around Europe. Looking back at how regulation changed over that decade, he sees both a legal change and a structural change, both of which were partly responses to changes in the energy market. Much more collaboration between national regulators was taking place “simply by the virtue of meeting each other.” There is also a much greater availability of information on different countries’ energy markets and greater sharing of best practice, awareness and training. ACER takes a genuinely European perspective and its policy groups enable “a much greater collaboration and a much greater European approach” towards energy issues than would have been the case 10 years ago. Lord Mogg has chaired ACER’s board of regulators since its formation in 2010 and is an independent member of the House of Lords. He was Chairman of Ofgem between 2003 and 2013 and has also been President of the Council of European Energy Regulators (CEER), a non-profit representative body, since 2003. ACER and CEER have separate staff and resources but have a close working relationship as they deal with similar issues. 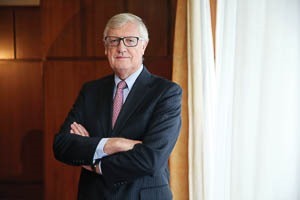 He was previously the European Commission’s Director-General for the Internal Market (1993-2002) and worked in the Cabinet Office before joining the Commission.